I’m sitting in a hotel room in Austin, Texas as I write this, during after-work time on a business trip. This topic seemed like a timely one. But, I hear you ask, what kind of road trip? Long? Short? Vacation? Business? Good point. Rather than try to address each of these as a separate trip category, I’ll talk about the stuff first, then how I change what I carry depending on length of trip. For me, time spent away tends to change my travel kit more than the type of trip. I carry a laptop most trips, but that laptop has been shrinking over the years. I used to feel I wanted a very thin, relatively light 15-inch notebook — something on the order of a Macbook Pro 15-inch or Dell XPS 15. I’ve come to realize I mostly use laptops for communication, writing, and super-basic photo editing. I bought a Lenovo Yoga when they first shipped, with its 13.3-inch screen. 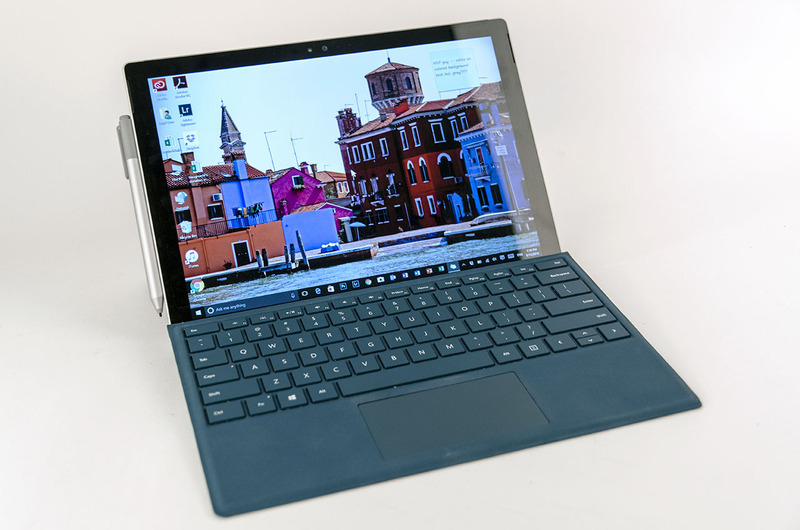 Even that became too bulky over time, so my go-to travel PC is now Microsoft’s Surface Pro 4. The 12.3-inch screen is adequate, and the new Type Cover keyboard works amazingly well. Best of all, it’s treated as a tablet by TSA in most locations, so getting I can just leave it in the bag when going through airport security. I find myself traveling without a mouse more frequently, though if I plan on using Photoshop, I’ll throw a small Bluetooth mouse into the bag. I sometimes also carry an iPad Air 2, but not for shorter trips. The combination of iPhone 6 and Surface Pro 4 addresses most of my computing and browsing needs, but the iPad comes in handy for tablet games and some movie viewing. However, I always carry my Kindle Voyage, which offers weeks-long battery life, useful backlighting, and handles much easier than the iPad for reading. As anyone who reads this blog knows by now, I’m carrying a Nikon D500 as my primary photography tool. For quick trips, I’ll just throw in D500 with the 16-80 f/2.8-f/4 zoom. For longer vacation trips, I’ll carry my full lens kit, which weighs in at 2415g or 5lbs, 5oz. The total weight with D500 body comes to 7lbs, 3oz. This seems like a lot, but it’s certainly substantially lighter than the full-frame kit I carried to New Zealand several years ago. Longer trips may mean carrying additional memory cards as needed, but I usually just dump photos to the laptop. The 64GB XQD card holds over 950 14-bit losslessly compressed raw files, so that’s several days worth of constant shooting. Of course, the battery charger and extra battery come along for any trip longer than three days. If the trip lasts more than two weeks, I might lug along an extra 250GB portable SSD for storing photos. I used to carry a transformer with various power adapters, which added a good two pounds to the carry weight. Now I only carry adapters, which weigh just a couple of ounces, since all of my chargers are now universal, and can handle 110/120V and 220/240V. I’ll also lug along a couple of spare USB-capable batteries in case I need extended phone battery life. 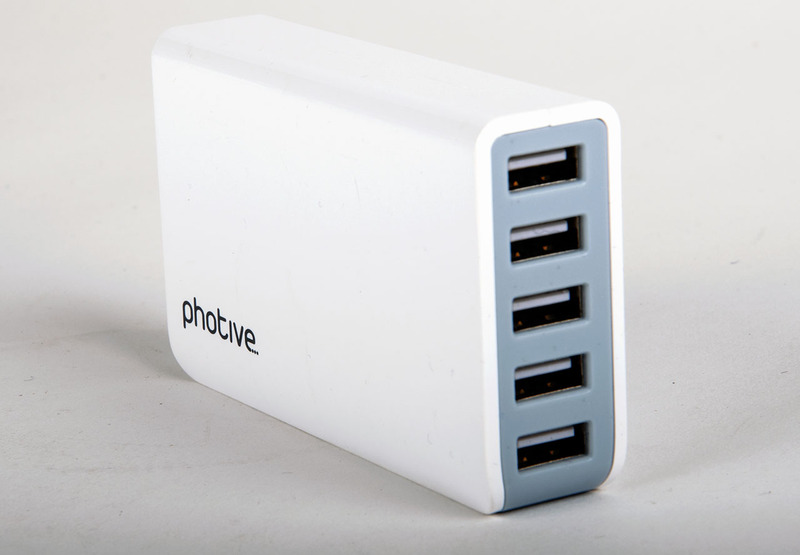 Since I often have multiple USB-charged devices, I also carry a Photive 5-port USB charger; one port offers additional current for tablet charging. I don’t have particularly advanced luggage, just several different sized TravelPro bags. For anything longer than three days, I always check a bag, much preferring to deal with baggage claim than trying to wrestle for overhead storage space. Even so, I carry on two bags: my all-around LowePro Fastpack BP 250AW, the successor to the Fastpack 350 I carried for years and a Timbuktu TSA-friendly messenger bag, which allows me to splay open the laptop compartment. That last bit is moot now, though, since I’ve been carrying the Surface 4 Pro. 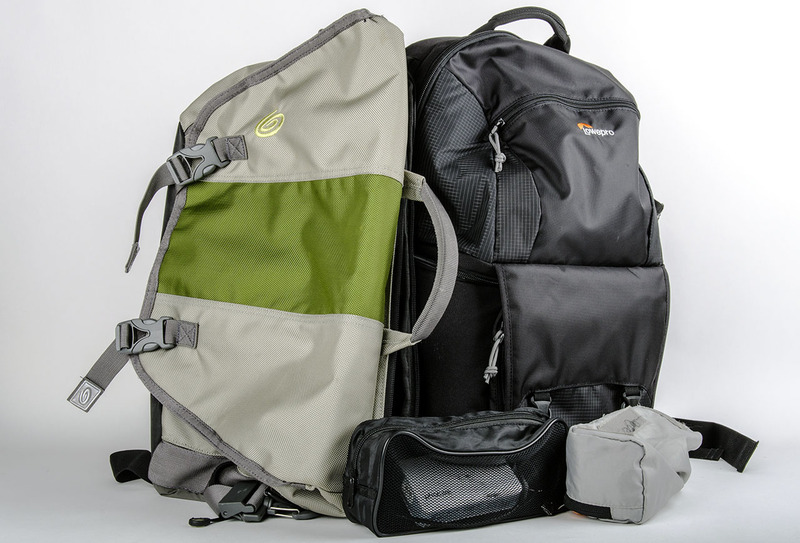 The Fastpack offers ample storage for my camera gear, a laptop, and a separate compartment for miscellaneous stuff. I generally stuff that into an overhead bin. Being smaller than most rolling luggage, the Fastpack nestles into empty spaces far too small for luggage. The messenger bag holds all the essentials for air travel: Kindle, in-ear monitors, snacks. Basic toiletries go into the messenger bags for very long flights, where I might want a toothbrush or shaver. When I deplane, I’ll rearrange everything so that the Fastpack holds all daily essentials; the messenger bag gets left in the hotel room. On very short trips — two nights or less — the messenger bag holds a couple of changes of underwear and shirts. I don’t use a standard suitcase for very short trips unless I need relatively formal business attire. That’s pretty much my carry kit in terms of tech and how I carry them. I’m sure more efficient systems exist, but my travel kit has evolved to suit my needs pretty well. I’d love to hear what you carry, and how you carry what you carry.